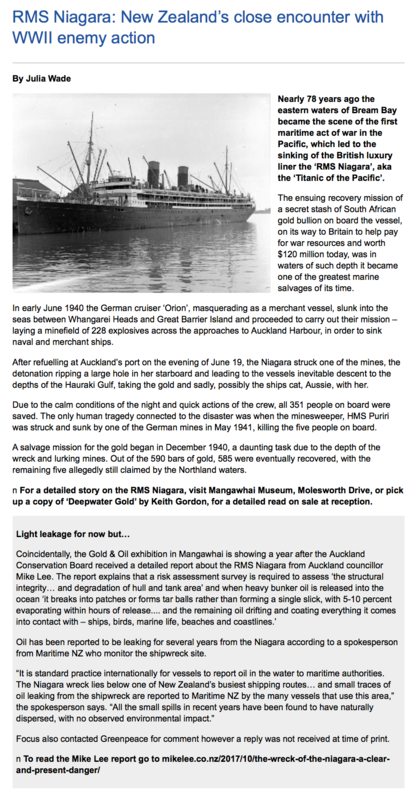 "Race to prevent potential oil spill from Niagara shipwreck off Whangārei"
This exhibition is now closed but the issue remains. 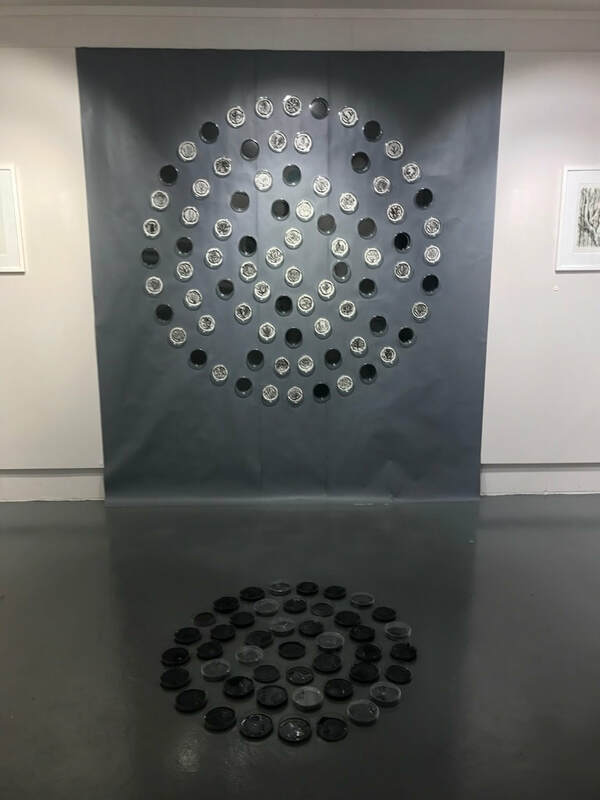 Nicola Everett's evocative and thought provoking exhibition has brought to our attention a hidden menace in our coastal waters. Let's keep this discussion alive. 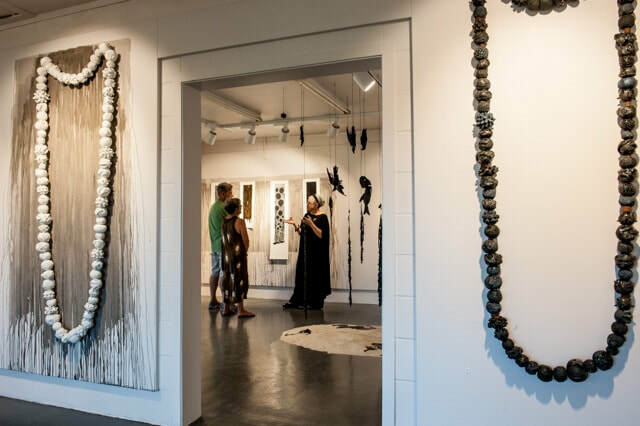 Nicola Everett’s exhibition is a mix of storytelling, installation and powerful images showing the history and sounding the alarm about oil from RMS Niagara leaking and clogging up the Upper Hauraki Gulf. 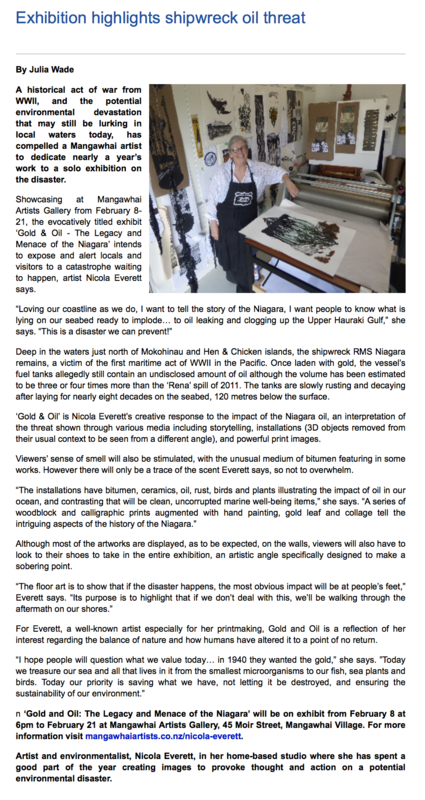 Entering the exhibition you will see Nicola’s creative response to what the Niagara oil could do. ‘It is being ignored and we are waiting until a catastrophe happens – this is a disaster we can prevent!’. Equidistant from the Mokohinau and Hen and Chicken Islands there is an ignored menace (see map below). Once laden with gold and still oil laden, the wreck of the Niagara lies where it was sunk by a Second World War mine in 1940. The fuel tanks are rusting and decaying after eight decades under water. With her art work, Nicola's solo exhibition is alerting locals and visitors to this threat. 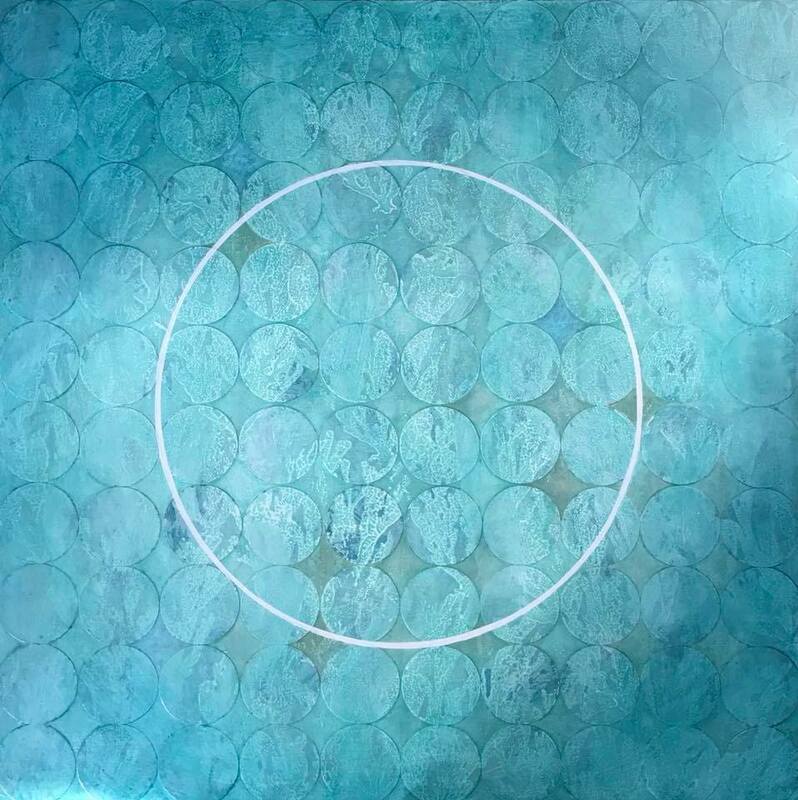 The first gallery space presents Nicola’s interpretation of the threat in various media. 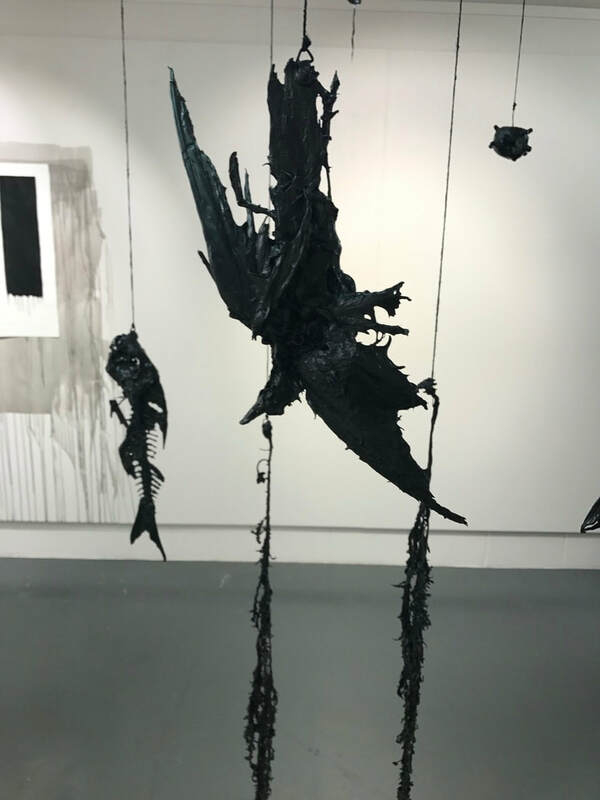 The installation has ceramics, oil, rust, bitumen, birds and plants – all illustrating the impact of oil in our ocean and contrasting that with clean, uncorrupted marine well being. 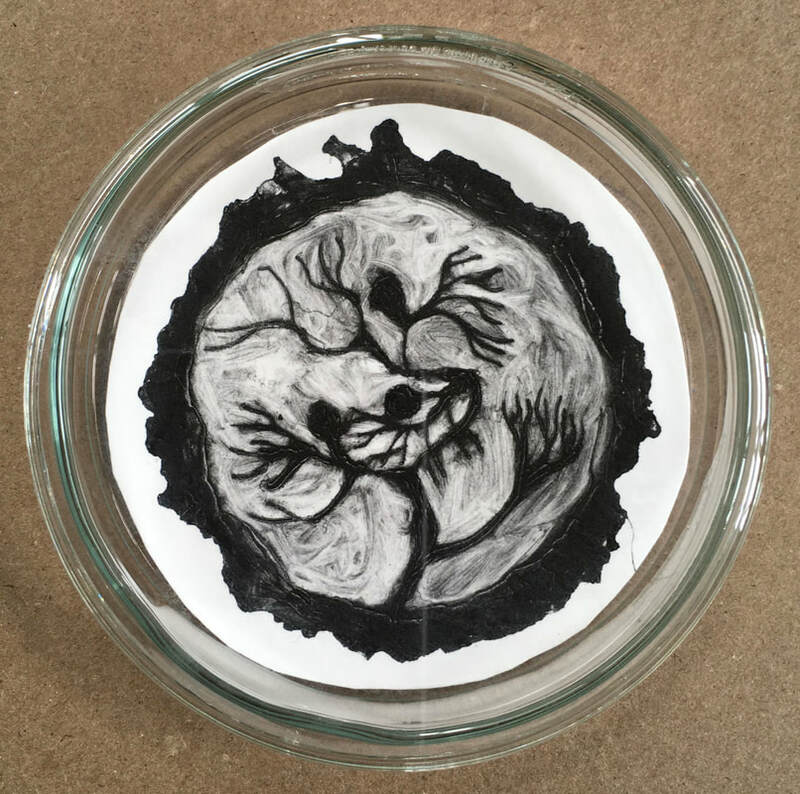 ​In the second gallery space Nicola exhibits a series of woodblock and collagraphic prints augmented with hand painting, gold leaf and collage. 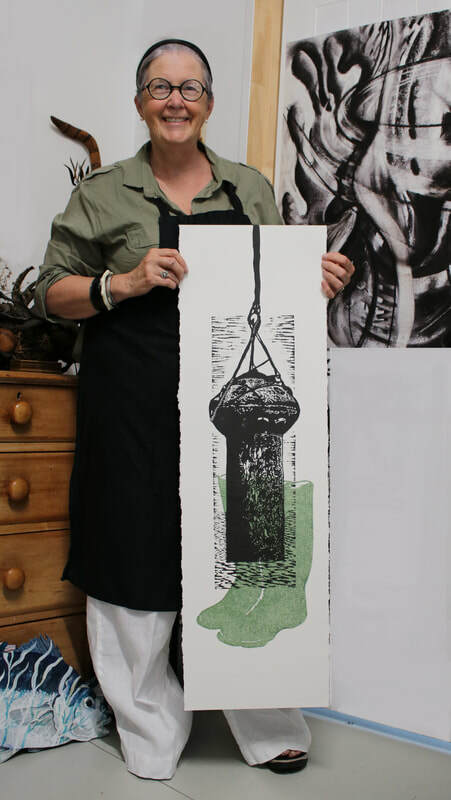 The prints illustrate intriguing aspects of the history of the Niagara. ​​Photo: Nicola with Keith Gordon. 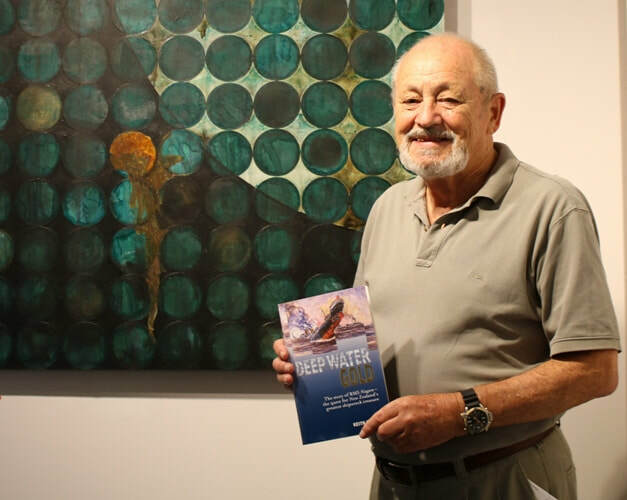 Copies of 'Deep Water Gold' by Keith Gordon are available at the Mangawhai Artists Gallery, Keith is donating the proceeds to MAI. 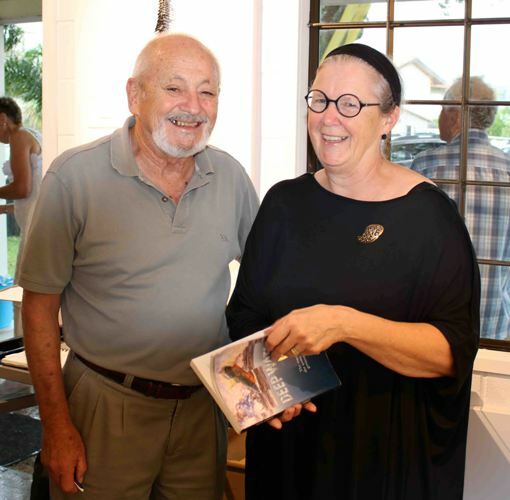 Deep Water Gold - The Story of RMS Niagara - the Quest for New Zealand's Greatest Shipwreck Treasure, by Keith Gordon. Map from a presentation “RMS NIAGARA: A ticking time bomb in Hauraki Gulf?” by Councillor Mike Lee to Auckland Conservation Board 15.2.17. ‘The wreck lies at a depth of 120 metres, equidistant from the Mokohinau and Hen and Chicken Islands, just over 2 nautical miles inside the Auckland Coastal Marine Area and the Hauraki Gulf Marine Park’.